This chicken and broccoli bake makes a tasty dinner and the leftovers are great for lunch the next day. If I want to make it more substantial, I serve it with a baked potato or some Sweet Potato Mash. Even by itself, it’s lovely comfort food and it’s so much better for you than gloopy, cheesy pasta bakes. 1. Preheat the oven to 160°C/325°F/gas 3. 2. Mix the Greek yoghurt, curry powder, gram flour, mustard and lemon juice in a small bowl and set aside. 3. Spread the cooked quinoa in an even layer in the base of an ovenproof dish. 4. Mix the chicken, broccoli and a pinch of salt in a medium bowl, and arrange this mixture in another layer on top of the quinoa. 5. Pour the Greek yoghurt mixture into the dish, spreading it into an even layer, and sprinkle the Parmesan and pine nuts over. 6. Bake for about 40 minutes. 7. Divide the bake between warmed serving bowls and serve with Sweet Potato Mash. 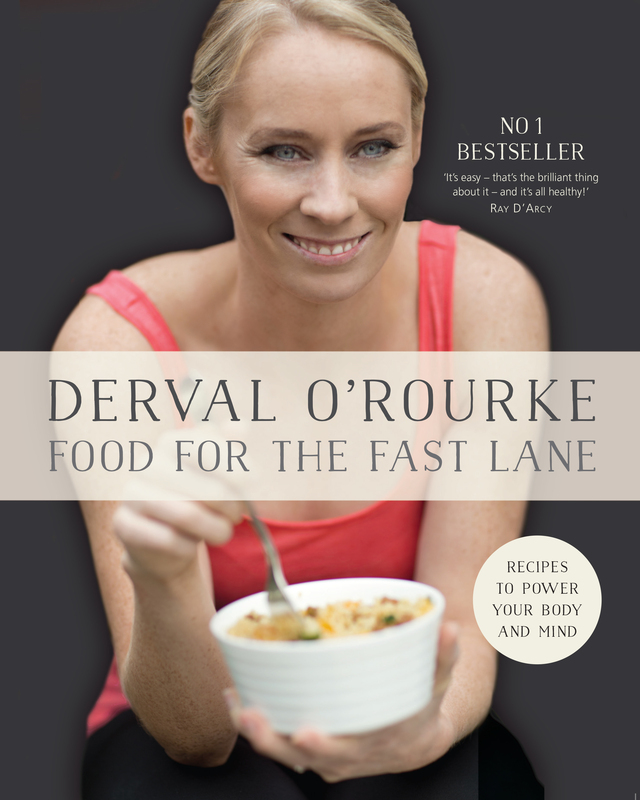 In her cookbook, Food for the Fast Lane: Recipes to Power your Body and Mind Derval O’Rourke shares the recipes that helped her achieve her fitness targets. Derval has held the title of World Champion in sprint hurdles and competed for Ireland in three Olympic Games. She also picked up four European Championship medals and holds the Irish record for sprint hurdles. As both a foodie and fitness fanatic she is passionate about experimenting with healthy, nutritious recipes, which she shares through her blog (dervalorourke.blogspot.com), on Twitter (@DervalORourke) and now in this book.